First, the potential sources of rockfalls are detected. These locations are determined using the slope histogram method. Then, one passes to the analysis and classification of the discontinuities present in the delimited zones. Density, direction, dip, spacing and persistence can give an idea of the state of the rock, the mode of rupture and the potentially mobilizable size. For this part, we link the measurements made in the field with those obtained digitally by remote sensing (terrestrial LIDAR, structure from motion from car or drone, handheld laser scanner). Then we go on to modeling of rockfall propagation. Four different simulation models were used: Eline, RocFall, Trajecto 3D and Rockyfor 3D. Results are then compared and analyzed. 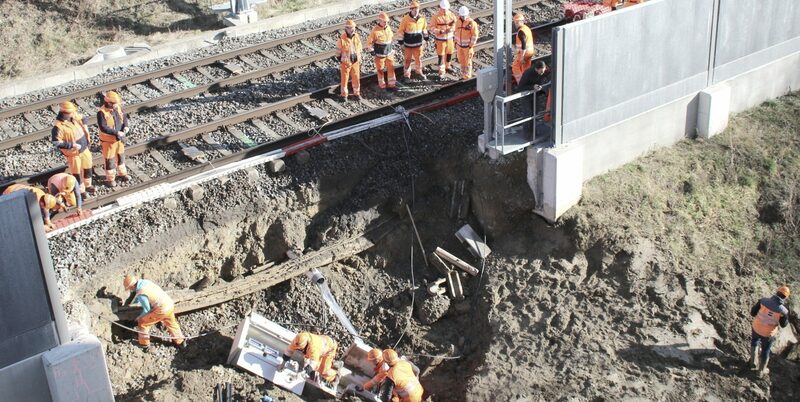 Finally a hazard map is proposed and the risk assessed. In this study, we focus on the risk of direct block-car impact and the risk of collision with a block that is on the roadway. The sum of the risks gives us a value expressed in deaths per year or loss of francs per year. After quantifying the value of the current risk, scenarios are proposed to reduce the risk. For this risk management part, cost-benefit analysis was used. This is an economic evaluation of the feasibility of the works of the protections proposed in relation to the costs. With Hans-Ruedi Pfeifer (Hon. 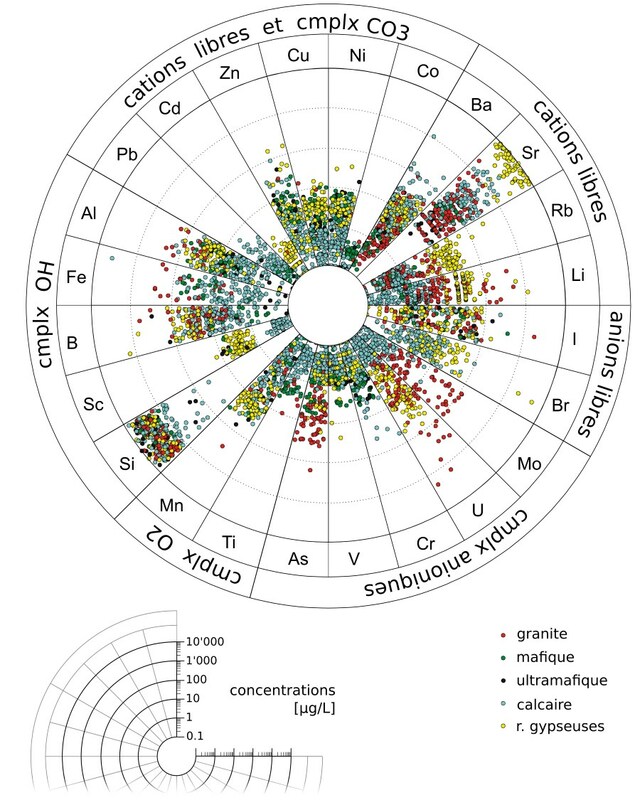 Prof. at the University of Lausanne), I had the pleasure to publish a paper in the Bulletin de la Société Vaudoise des Sciences Naturelles on the chemical composition of alpine spring waters. This paper is a review of water analysis (major and trace elements) according to the type of bedrock forming the catchment. Although it is published in French, an extended abstract in English is available and reproduced below, with references to the most significant figures. 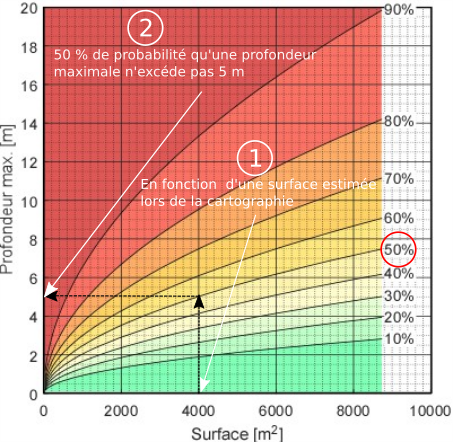 Derron M.-H., Pfeifer H.-R (2017) : Caractérisation hydrogéochimique des eaux de source alpines. Bull. Soc :Vaud. Sc.Nat, 96, 5-29. In order to investigate the influence of bedrock on the chemical composition of alpine spring waters, more than 700 chemical analyses for major and trace elements have been collected from regional reports or thesis. All these waters are from shallow aquifers (no deep or geothermal circulation), where water is cold and oxic, with pH neutral to basic. Five types of bedrock have been distinguished: granite, mafite, ultramafite, limestone and gypseous rocks (mostly gypseous dolomite). Classical physicochemical parameters (pH, temperature and electrical conductivity), major elements and, depending on the authors, about 15 trace elements are usually provided. The concentration ranges of each element in solution, for each type of bedrock, are provided as percentiles in annexes (online). These values are indicators of common water compositions encountered in moderate to high altitude alpine environment. Results for major elements show that the total dissolved load depends directly on the nature of the bedrock: silicated, carbonated or sulfate-bearing rocks (Figure 1). 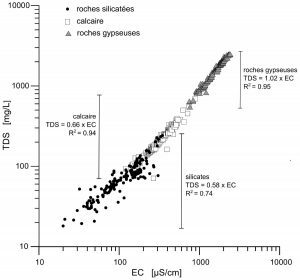 Figure 1: Total dissolved solid vs electrical conductivity for alpine waters from silicated rocks, limestones and gypseous rocks (N=696). Classical diagrams of Schoeller (Figure 2) and Piper (Figure 3), as well as the hydrogeochemical facies of JAECKLI (1970), are used to characterize each water type, corresponding to the five types of rocks considered. Figure 2: Schoeller’s diagram for the five types of alpine waters considered in this work (median concentrations for each type). 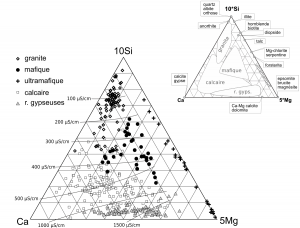 Figure 3: Piper’s diagram of alpine spring waters for granite (N=98), mafic (61) and ultramafic (36) types on the left, limestones (294) and gypseous rocks (207) on the right. Two types of water are well differentiated from the others. 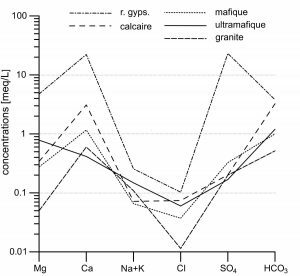 Waters of gypseous rocks are strongly enriched in Ca, Mg and SO4, with SO4/HCO3 >1. Waters from ultramafic rocks are enriched in Mg, with usually Mg/Ca>1. In all the other types of water (from granites, mafites or limestones), Ca and HCO3 strongly dominate. This convergence of compositions towards an undifferentiated calco-hydrogenocarbonated facies is known in metamorphic rocks. It can be attributed to traces of calcite in the silicate rocks and that metamorphic silicate minerals are much less reactive than calcite. 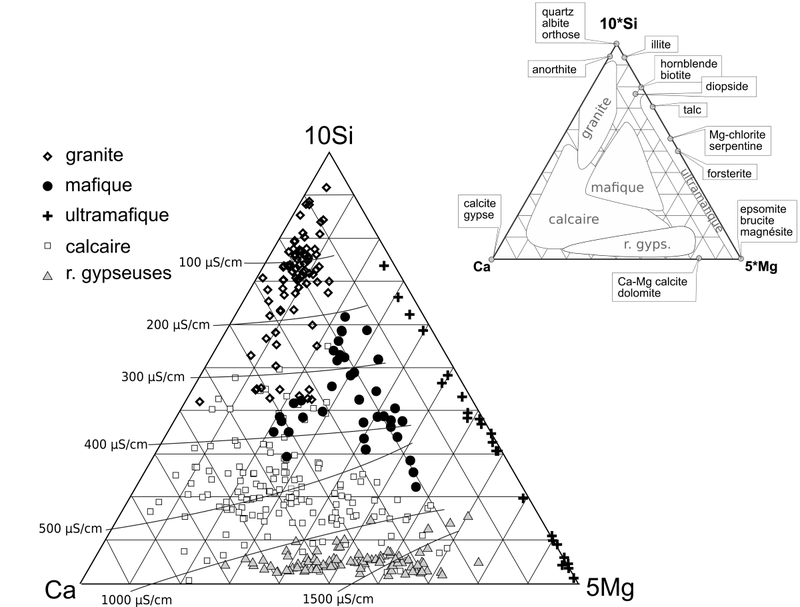 In order to improve the discrimination of these water types, a new ternary diagram is proposed, using relative Ca, Mg and Si concentrations (Figure 4). 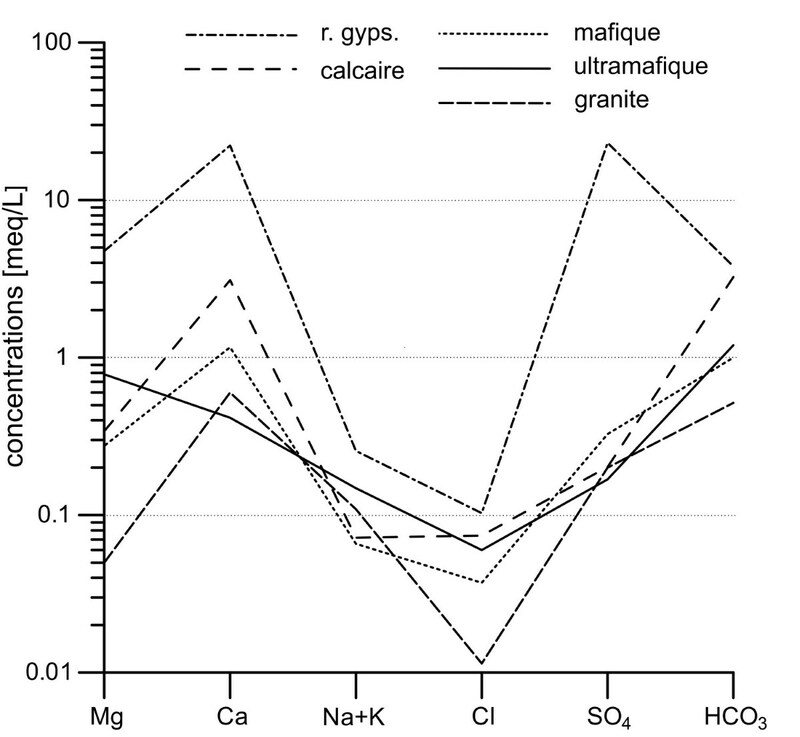 Figure 4: Ca-5Mg-10Si ternary diagram (mMole/L) for alpine spring waters (N=442), with indicative isolines of electrical conductivity. The positions of main rock forming minerals are in the upper figure. 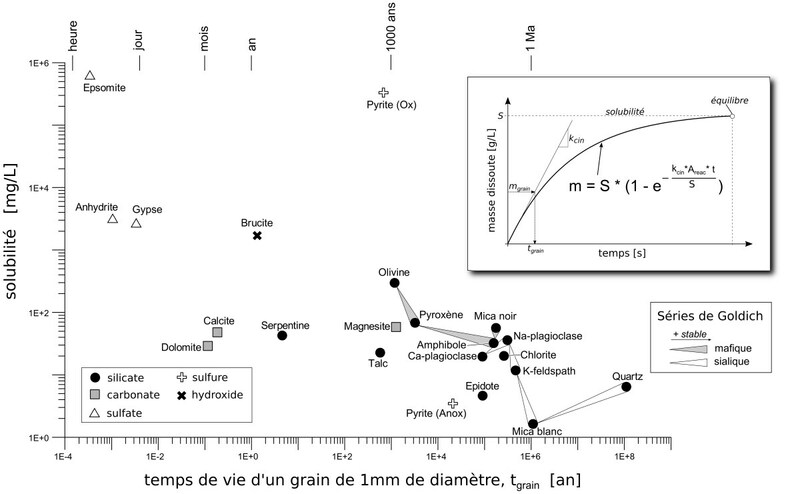 It appears from these analyzes that dissolution properties of minerals (i.e. solubility and dissolution rate) strongly control the content in major elements of these spring waters (Figure 9). In particular, a low amount of a highly soluble and rapidly dissolved mineral may play the main role: gypsum or anhydrite in gypseous rocks, brucite in ultramafites, or calcite in the other rock types. Dissolved contents of trace elements are highly variables, several orders of magnitude for most of them. Median values and overall distributions, by type of rocks, are displayed in Figure 5 and Figure 6 respectively. Figure 5: Median concentrations of trace elements in alpine spring waters by type of rocks and by valence. Speciation according to Stumm & Morgan 1996 (cmplx = aqueous complexe). Figure 6: Wheel of trace elements in solution (inside a slice , the points are spread randomly on the radius that corresponds to the concentration). 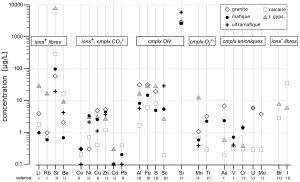 For most of trace elements, there is no obvious relationship between rock contents and concentrations in solution. Some exceptions are: 1) water from gypseous rocks are enriched in Li, Rb and Sr; 2) concentrations of U, Mo, As are higher in water from granite. 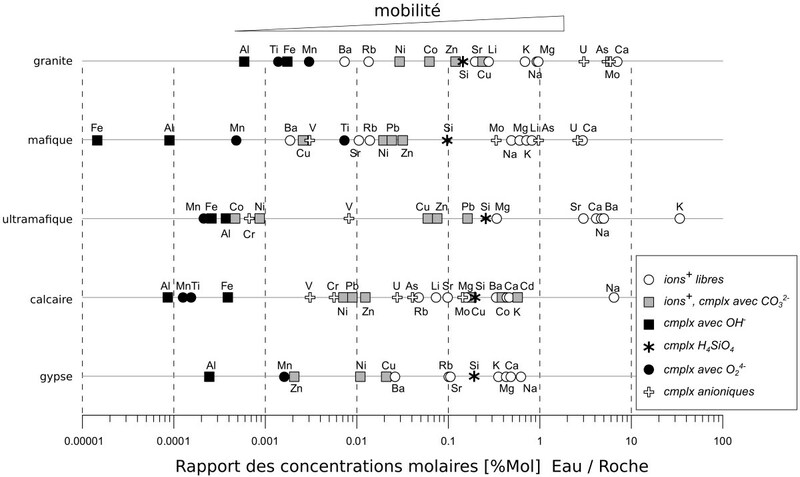 In order to interpret these data and to identify the processes regulating the concentrations of trace elements in solution, the valence, the speciation and a mobility index are used (Figure 10). Dissolution properties of minerals seem to control the concentrations of alkaline elements (Li, Rb, Sr, Ba). Very low concentrations of dissolved Fe, Al, Mn and Ti may be due to precipitation as oxy-hydroxides. Adsorption of transition metals (Co, Ni, Cu, Zn, Cd, Pb) on mineral surfaces or suspensions can regulate their concentrations in these basic waters. 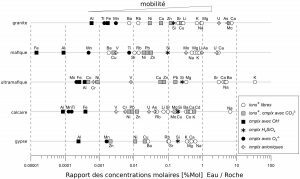 Higher valence elements (Si, U, Mo, Cr, As) form anionic complexes in natural waters. 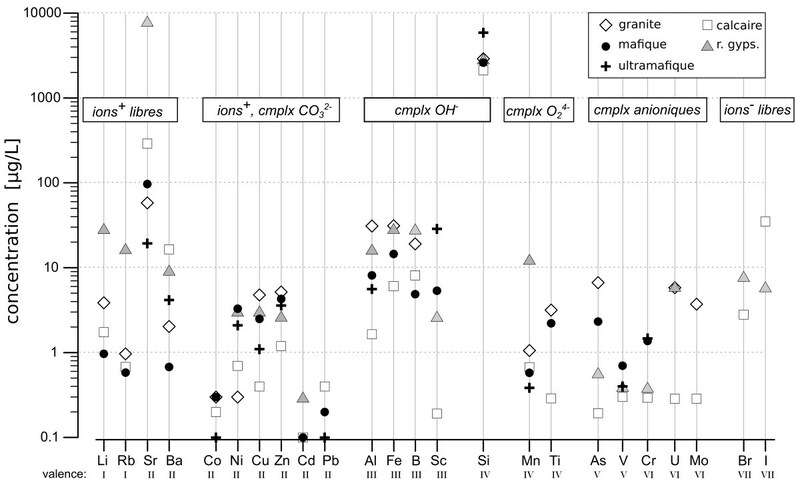 If they are present in soluble minerals, these anionic complexes may explain the observed enrichment of these elements in some specific types of water (granitic and gypseous). Figure 9: Solubility vs dissolution rate for main rock forming minerals (pure water at 25°C and equilibrium with atmospheric CO2 and O2). The dissolution rate is expressed as lifetime of a 1mm diameter spherical grain. Both Goldich’s sequences are shown for silicates. The upper figure illustrates a typeical dissolution experiment, with: m = mass of dissolved mineral, kcin = dissolution rate at the beginning of the reaction [g/m2/s], S = solubility [g/L], Areac= reactive surface of the mineral [m2/L]. Figure 10: Ratio of the median concentration in water on the concentration in rock (molar concentrations for both). The higher is this ratio, more the element is mobile in the system. 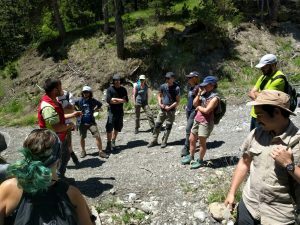 The field trip on gravitational slope movements for master students took place for the fifth year at Barcelonnette (French Southern Alps) at the beginning of June. 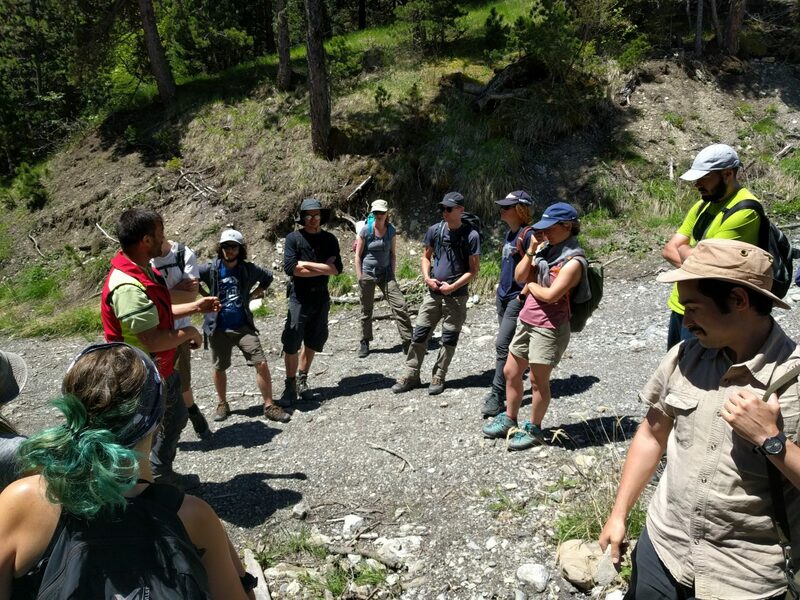 During two weeks, the students had the opportunity to study the landslide of Lavalette, rockfalls around Meolans and debris flows in the Riou Bourdoux catchment. 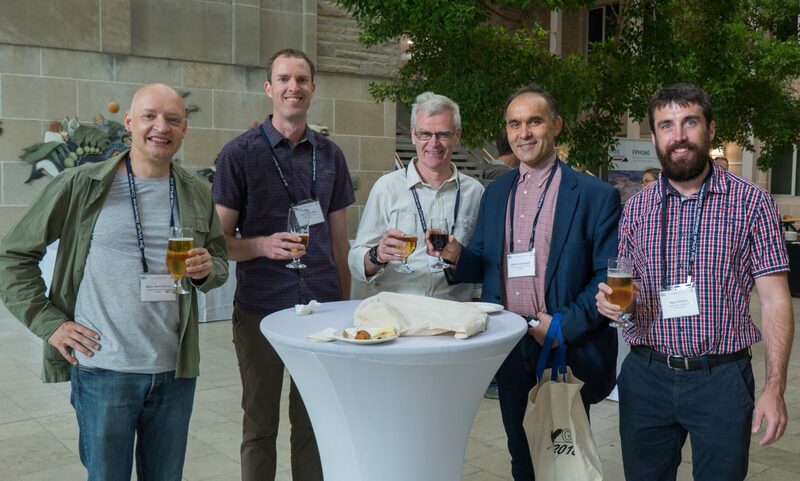 The quite intensive program was composed of mapping and terrestrial LiDAR in the field during day times, data analysis and numerical modelling the evening. Once again we benefited from all the facilities provided by the Seolane center (center dedicated to host scientific stays at Barcelonnette), and we had the opportunity of a visit guided by Hugo Collomb of the French Office of Forest (ONF-RTM). 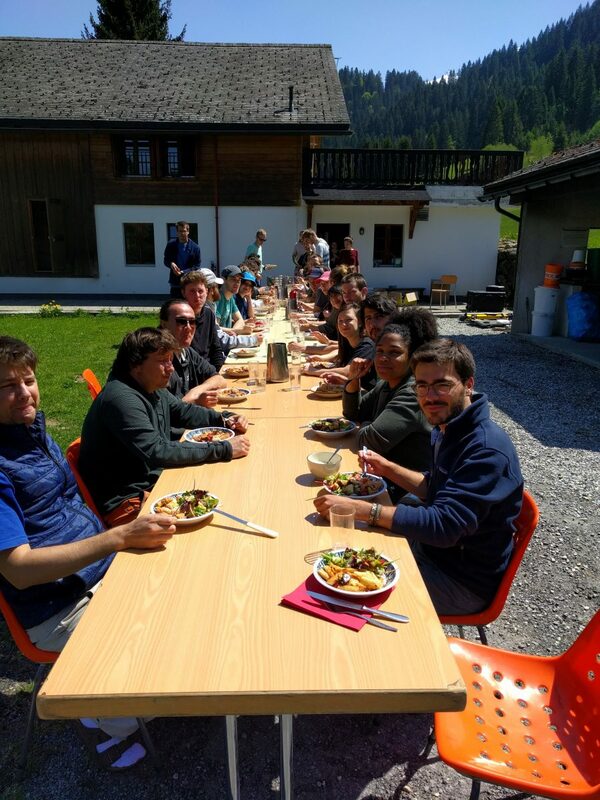 The field trip for bachelor students in environment took place at Les Diablerets mountain village in the Swiss Alps during the first week of May. 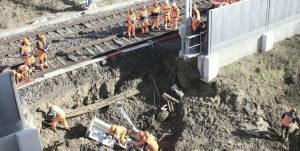 The nearby Pont Bourquin landslide was the main object of study for 32 students during 3 days. Mapping, volumes and risks estimations were at the program. 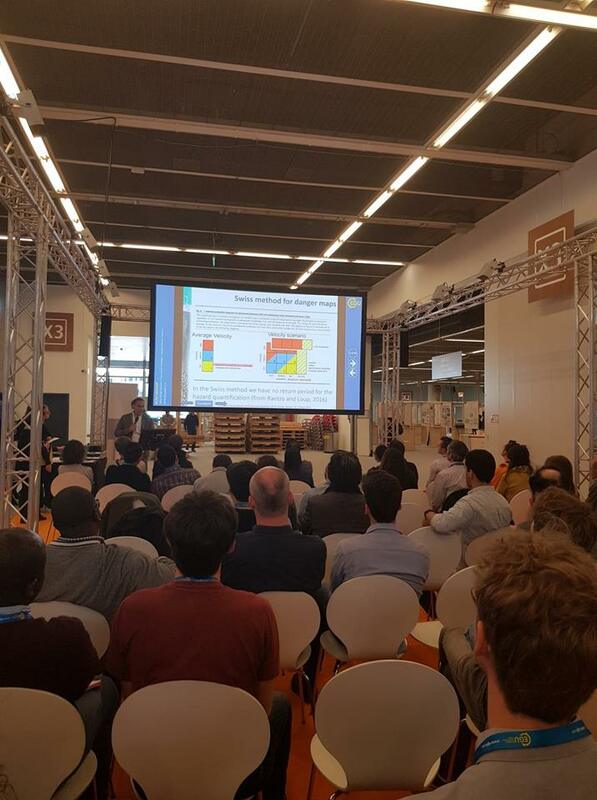 The Risk Group participated in the European Geosciences Union (EGU) General Assembly in Vienna, Austria, on 08 April to 13 April 2018. This meeting was a great success, with 4,776 oral, 11,128 posters, and 1,419 PICO presentations. 15,075 scientists from 106 countries participated. 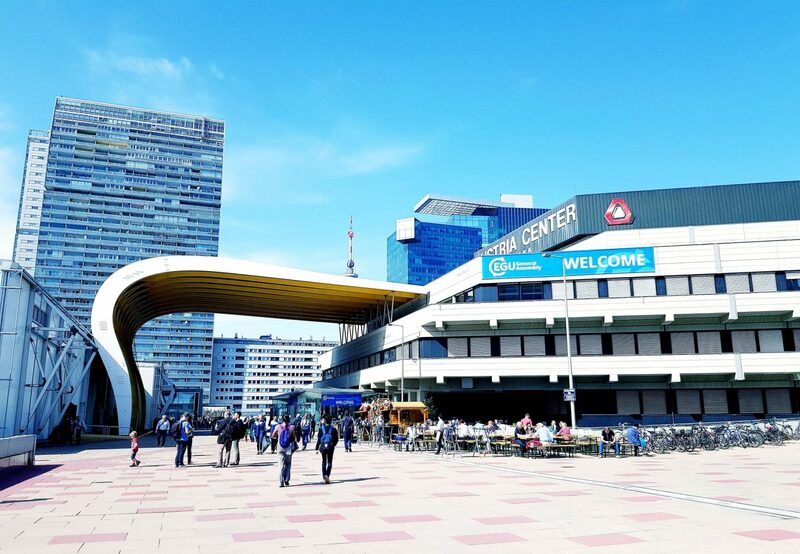 As usual, attending The European Geosciences Union (EGU) General Assembly in Vienna is an amazing opportunity for our group to be an interactive part with the huge platform of experts and scientific researchers from over the world and from different fields. 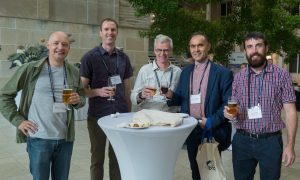 The Risk Group people presented 10 contributions as first authors whose titles are below. Optimizing rockfall simulations by combining high-resolution gridded digital terrain models with 3D point clouds. François Noël et al. 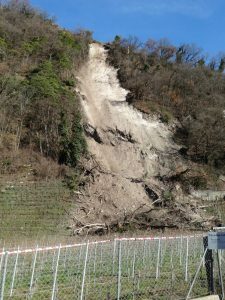 Using average velocities of deep-seated landslides to develop intensity-frequency scenarios. Michel Jaboyedoff et al. 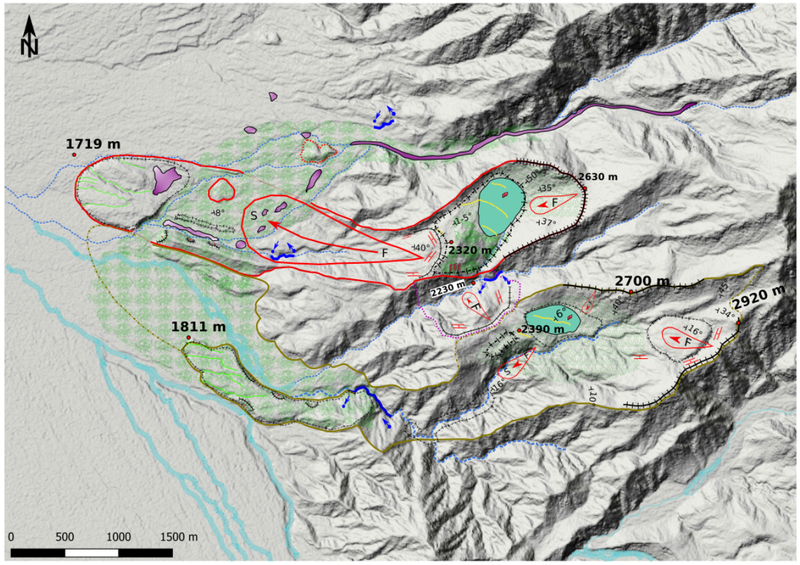 Coupling 3D rockfall propagation to the spatio-temporal frequency for a realistic rockfall hazard mapping. Cécile D’Almeida et al. 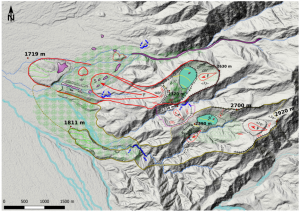 SFM photogrammetry for rockfall hazard evaluation in a zero data site (acase study of a touristic area of northern Tunisia). Mariam Ben Hammouda et al. Urbanized areas, natural hazard and risk in Rwanda. Emmanuel Nduwayezu et al. 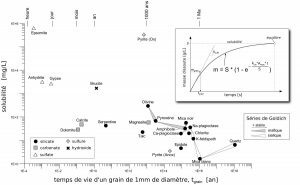 Axisymmetric granular collapse: underlying invariance of granular dynamic? Emmanuel Wyser et al. Inventory of shallow landslides in regard with their frequency in the Canton of Vaud (Switzerland). Cedric Meier et al. Finding the best locations of monitoring devices based on visibility analysis with 3D point clouds. Teresa Gracchi et al. Assessment of potential pollution of an unconfined aquifer in Abidjan by hydrocarbons. Amenan Agnès Kouamé et al.